Shoal Creek sets the standard of excellence in Birmingham, at least in the eyes of many. Birmingham and Atlanta have a lot in common. They’re both largish, ethnically diverse cities landlocked in the Deep South, with troubled pasts but currently experiencing rapid cultural and economic transitions. Though the Atlanta metro area is about five times larger geographically and by population than Birmingham, they also have similar golf cultures. Both are private club cities. Like in Atlanta, the upper tier private clubs in Birmingham set the standard for the region’s golf. Historic clubs sit at the center of several old money neighborhoods, and over the last few decades a new generation of private courses have lured new money away from central Birmingham. If you don’t belong to a club, it’s easy to feel like a famished person staring into the window of a crowded restaurant (speaking of, the city is full of great restaurants). Neither region has particularly appealing golf terrain. There’s tree cover and elevation change everywhere, but it’s often extreme. Birmingham resides at the southern tail of the Appalachians and visitors are often surprised how mountainous the area is. The city sits amid a series of long, abrupt ridges that slice through central Alabama. Their large deposits of iron ore, coal and limestone helped Birmingham become one of the country’s largest steel producers from the turn of the 20th century into the 1970’s–some referred to it as the “Pittsburgh of the South,” and on an overcast winter day it still can look the part. These surrounding foothills and ridges provide the scenic backdrops to much of the area’s golf. But Atlanta and Birmingham differ in two major ways. First, the growth rate and topography of the surrounding mountains have kept Birmingham relatively compact. In Atlanta, white flight and lack of natural boundaries led to unchecked expansion into the northern suburbs and exurbs, resulting in impossible commutes and meandering excursions to the courses there. Birmingham expanded mostly over the mountain to the south, but it’s still relatively easy to get from one part of the city to the other. 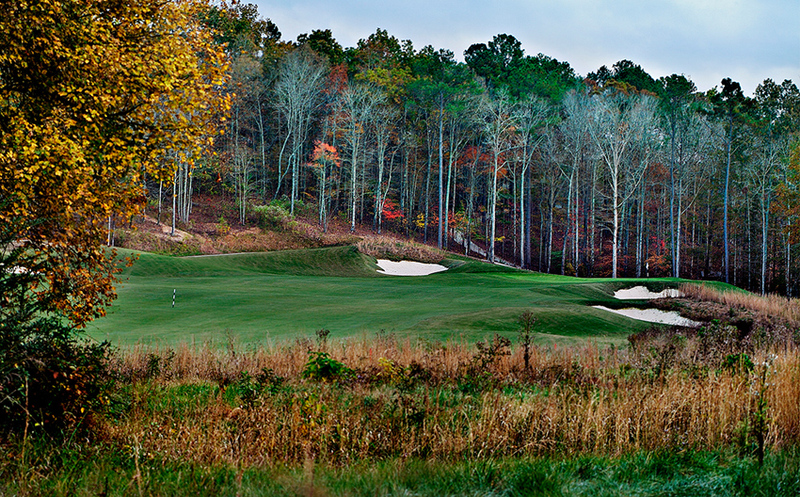 Second, Birmingham has two venues on the Robert Trent Jones Golf Trail, two of the better ones at that. This in and of itself gives it a public identity Atlanta lacks, and anyone traveling here could do far worse than to jump on the Trail’s three local expressions. Beyond the Trail presence there isn’t very much public golf in Birmingham, but what is here and nearby has merits that outweigh what Atlanta can offer. 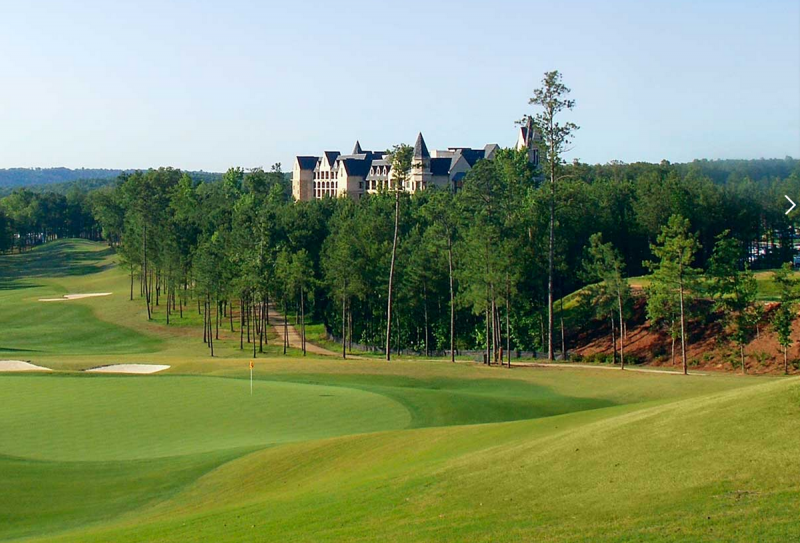 There basically don’t exist the kinds of rampant, overbuilt residential golf developments that dominate the Atlanta ‘burbs, so in addition to being more convenient to access, the courses generally possess a greater sense of purpose. And even if you have access to the best private courses in each market, I’m still not sure it tips the scale to Atlanta–Birmingham’s privates are pretty strong (or, Atlanta’s are average). So if I’m handing out itineraries, I’m giving the golf nod to Birmingham. The par-5 3rd at Oxmoor Valley’s Valley Course plays downhill off the tee, then up to a blind green hidden above a shale outcropping. For a metro area this size, Birmingham has a solid collection of private courses. The bench isn’t particularly deep, but it hits for average. Up until the late 1950’s the city only had about three golf facilities, two of them designed by Donald Ross. 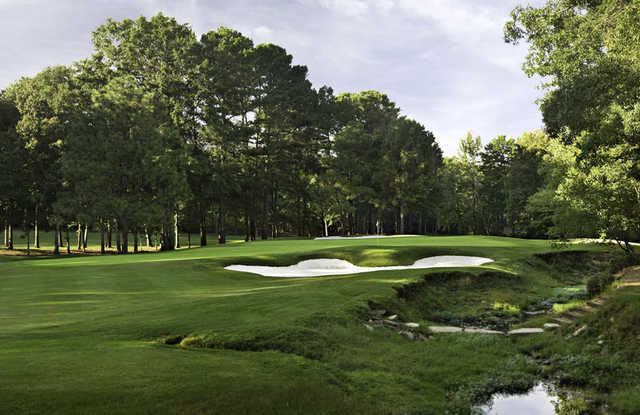 Ross built the first 18 at The Country Club of Birmingham‘s new location in 1927, now known as the East Course, and two years later added the West. Most of the Ross was neutered out of them in the middle of the last century by Joe Lee and Robert Trent Jones, and Pete Dye has twice made comprehensive renovations to the West. Just a few blocks away, playing around Shades Creek at the foot of Shades Mountain, is Mountain Brook Club, which Ross designed in 1929. These represent the bluest of blue blood clubs in central Alabama, so work your connections accordingly. 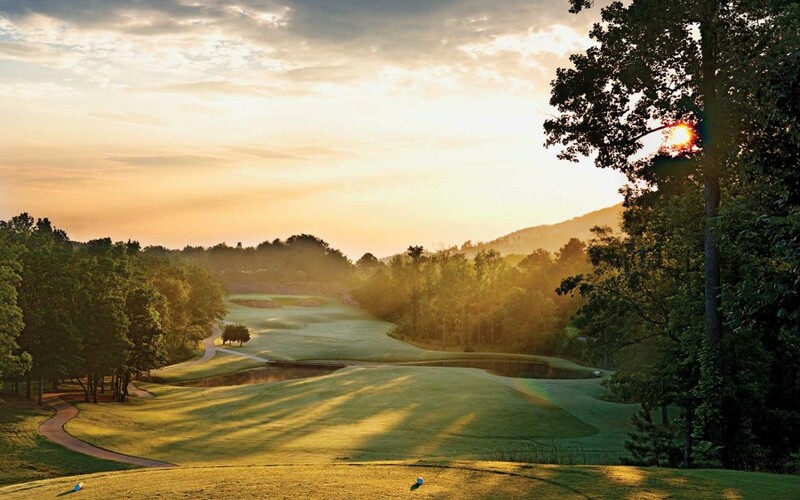 Shoal Creek, arguably the state’s most prominent tournament course and site of the 1984 and 1990 PGA Championships, sits in an idyllic valley between Double Oak Mountain and Oak Mountain. It’s one of Jack Nicklaus’ more genteel designs and owes much of its strategic inspiration to Augusta National (founder Hall Thompson was a member). 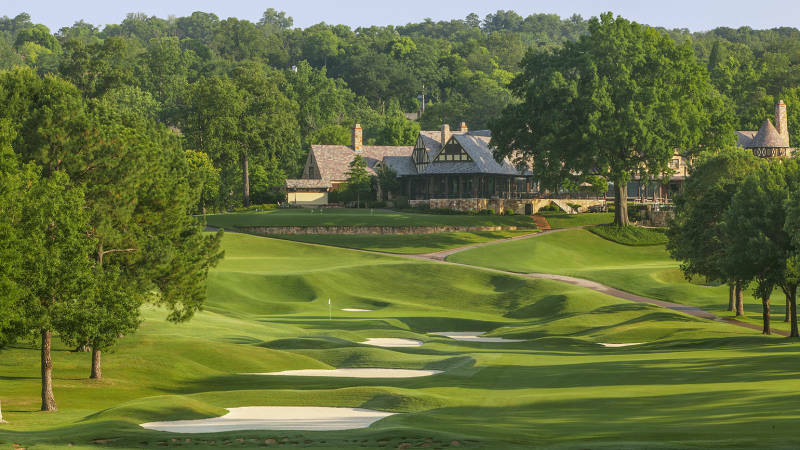 Several other clubs round out the top end of the private roster, including Greystone Golf & Country Club, with courses by Bobb Cupp and Rees Jones that roll through hills southeast of town, and Old Overton, an even more scenic Tom Fazio/Jerry Pate collaboration east of downtown. Other worthwhile pursuits include Vestavia Country Club, an older George Cobb production with elevated views that’s in the midst of a Lester George renovation; Pine Tree Country Club (Cobb, 1969) sitting on a wonderful, sloping core site a little north of Old Overton; Hoover Country Club, formerly Green Valley CC (um, okay, it’s Cobb again) sporting dramatic Bill Bergin-renovated greens and bunkers; and Inverness Country Club (designed by…George Cobb? Are you serious? I know the 1950’s and ’60’s were not a time of particular enlightenment for rich white people in Birmingham but could they not at least try to hire someone else to build their courses? ), with holes strung through a mature neighborhood but very good Bergin-remodeled greens. Ross Bridge is big in every sense of the word. Ross Bridge–The final course to be completed on the Robert Trent Jones Golf Trail, Ross Bridge is really a culmination of all the madness that went into the other sites but presented in a more sophisticated, traditional package. It’s an epic course with big views and big holes, and though it’s more restrained than the golf found elsewhere on the Trail, it doesn’t lack thrills. 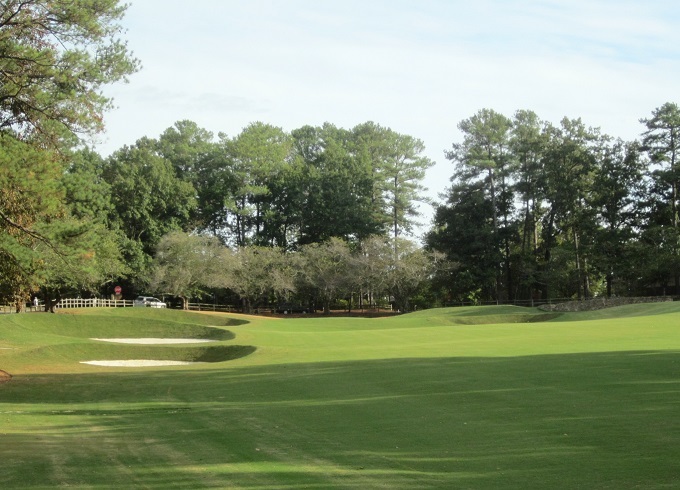 Oxmoor Valley–The other Trail site just up the road from Ross Bridge, Oxmoor Valley has as much bang for the buck as you’ll find anywhere in the golf world. It’s cart golf, to be sure, but the up and down, boundless nature of the Ridge Course can be dizzying, while the Valley Course is more relaxed jaunt through a forest area surrounding Little Shades Creek. 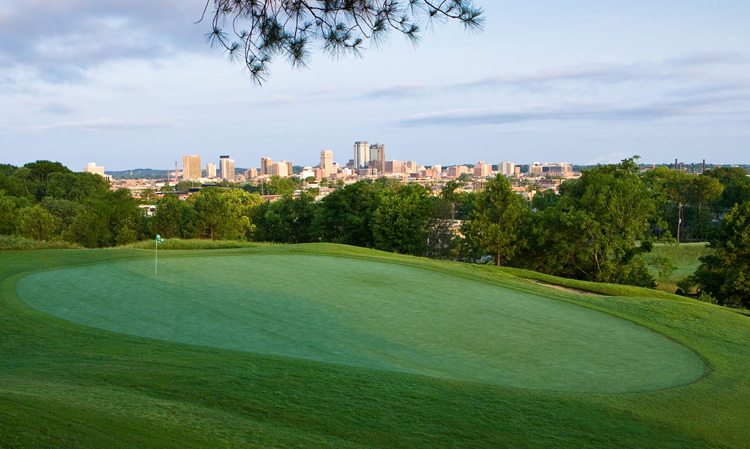 Highland Park–Located in the heart of town, Highland Park was the original course for the Country Club of Birmingham. Renovated in the late ’90’s by Bob Cupp, the design is delightful with lots of up and down, tricky greens and one hole after another that will test your wedge game. This is classic, neighborhood golf, the kind you don’t get much anymore. Historic Highland Park has an unbeatable urban setting. Roebuck Muni–Just north of town near the airport, Roebuck is for die-hard golf nuts. It’s a neat, simple little course in need of a renovation, but it was designed by Herbert Barker, who built Druid Hills and the original Capital City Club courses in Atlanta in the early 1900’s. Ballantrae Golf Club–South of Hoover in Pelham, Ballantrae is an interesting course with some odd arrangements (a fish hook par-5) and some of the strangest bunker placements I’ve seen, but it gets points for a nice, wooded setting and lack of nearby homes. Timberline Golf Club–Jerry Pate’s Timberline, a little farther south, is a prototypical extroverted 2000’s era course with two halves, one more open with water features and a residential component, and the other a peaceful wooded sector with nice bunkering, solid shot opportunities and a head-scratching routing. 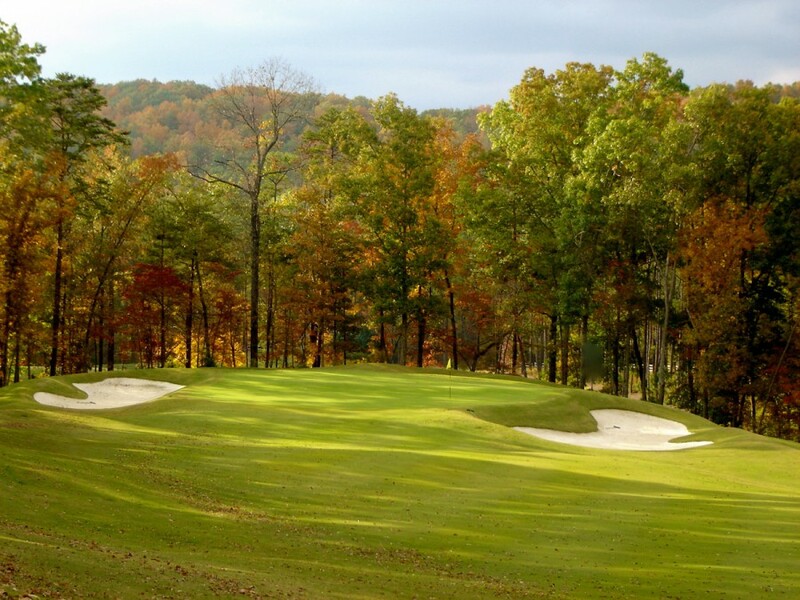 Limestone Springs–This Jerry Pate course pops up on a lot of “Best of” lists for the state. The real appeal here is the setting, with the holes running up and down a gorgeous mountain valley. It’s not even an hour from Birmingham, but it feels like you’re up in the Alleghenys. FarmLinks at Pursell Farms–One of the most unique venues in the Southeast, FarmLinks, about an hour to the southeast, is an agronomic experimental facility as well as a golf and hunt club. The setting for the golf is lovely, situated over parts of a serene, unspoiled 3,5000-acre property, with high-end four-bedroom cabins available for extended stays. If you’re coming to the Birmingham area to play golf, you’re not seeing the best unless you make the trip to FarmLinks. Without a doubt, swing Shoal Creek and the CC of Birmingham if you can. Otherwise, hit the two RTJ Trail courses followed by FarmLinks. Altogether it might not be the best golf lineup you can find in the Southeast, but you’ll leave feeling you definitely got your money’s worth, with plenty of scenery and little wasted motion.